Saba Hamedy, “How Trump’s travel ban motivated some Muslim Americans to run for office,” CNN.com, April 25. Refael Kubersky, “Anti-Islamophobia Group Celebrates Second Anniversary, Reflects on Current Issues,” The Michigan Daily, March 22. Leila Fadel, “Beauty Brands Struggle with the Diverse Options that Come with Diverse Faces,” NPR, February 27. “Migration Studies and the Humanist Perspective,” Collaborative Edges, Podcast, Michigan State University, February 16. “Arabs and Muslims in the Media” featured in Vaghaye Daily (Current Affairs), Iran, January 9, Page 14. Kennedy Werner, “Reflecting on Themed Events, Cultural Appropriation and Safety in Greek Life and Student Run Parties,” The Michigan Daily, September 5. Isha Aran, “The Charged, Complicated Racial Dynamics of Cardi B’s ‘Bodak Yellow’ Video,” Splinter News, August 22. Keith Salowich, Buzzfeed’s “’See Something Say Something’ podcast draws crowd to talk about Arab issues,” The Press & Guide, August 14. “See Something, Say Something,” Buzzfeed Podcast, Invited Guest on a live show, Arab American National Museum, August 12. Richie Bernardo, “2017’s Most Patriotic States in America,” Wallethub, June 27. Carol Jackson, “Secret Life of Muslims,” Ways & Means Podcast, Sanford School of Public Policy, Duke University, May 22. Stephen Loiaconi, “White House terrorism expert says we must defeat ISIS like we defeated the Nazis,” Sinclair Broadcast Group, May 25. Kelley Taylor, “Colleges Forced to Address Rise in Anti-Muslim, Anti-Semitic Rhetoric on Campuses,” Insight Into Diversity, April 17. 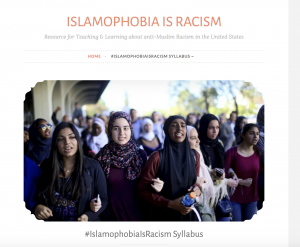 Mandira Banerjee, Islamophobia is Racism: Syllabus to initiate discussion, learning, Michigan News, April 11. Claire Sadar, “The Newly Launched #IslamophobiaisRacism Syllabus Is an Extremely Useful Primer for Teaching and Learning about Anti-Muslim Discrimination,” Muftah, April 9. Alia E. Dastagir, “27 things to read if you care about women of color,” USA Today, March 28. Carly Ryan, “Recent immigration restrictions met with mixed reactions on campus,” January 31. Jorge Avelan for WEMU news, “Local Muslims Hope Islamophobia Will Not Be Ignored in 2017,” WEMU Radio, December 30. Nisa Khan, “Campus sees increase in nighttime safety measures,” December 1. Interviewed about the U.S. elections and the potential impact on Muslim Americans, Phoenix Satellite Television, Hong Kong, October 23. Alexa St. John, “Fifteen years later, 9/11’s impact remains on campus,” The Michigan Daily, September 11. Imogen Herrad, interviewed for radio documentary on spy stories in the 20th and 21st centuries for SWR2, a public German radio station, June. Hannah Allam, “Tired of Negativity, Muslims take on media stereotypes,” McClatchy News Service, Detroit Free Press, May 1. Anna Gray, “Evelyn Alsultany: Examining the Paradox of American Media Portrayal of Muslims Post-9/11,” WUVA News, April 24. Tim Cohn, “Faculty pen letter to Schlissel about Diag chalking incident,” The Michigan Daily, April 17. Rabab Jafri, “Inner conflict, the right way,” The Michigan Daily, February 3. Alexa St. John, “Students share experiences of Islamophobia on campus,” The Michigan Daily, January 26. Neda Ulaby, “In 2015, TV Broke Ground By Showing Relatable Women in Hijab,” NPR, January 1. David Zurawick, “Muslims on TV Seen Through Terror Prism,” Baltimore Sun, December 11. Featured on Wolverine of Ann Arbor, University of Michigan’s Facebook page, December 9. Sujay Kumar, “The Everyday Terror of Islamophobia in America,” Fusion.net, July 23. Alexandra Svokos, “UMich Student: I Don’t Have a Single Arab or Muslim Friend that Hasn’t Experienced Discrimination,” Huffington Post, April 7. Ian Dillingham and Ruby Wallau, “Challenging the Checkbox: Experiences of the Arab-American community on campus,” The Michigan Daily, March 10. David Palumbo-Liu, “Arab-Americans and Muslims: Beyond Profiles, Beyond ‘Problems,'” The Huffington Post, The Blog, February 13. Jeff Karoub, “Muslims finding voice in wake of North Carolina slayings,” Associated Press, February 18. Carly Noah, “LSA launches new minors for Winter 2015,” The Michigan Daily, February 1. Michelle Leung, “Why Ayaan Hirsi Ali Gets a Conservative Media Spotlight,” Media Matters for America, April 11. Amia Davis, Shoham Geva, Amabel Karoub, “Interesting courses, Winter 2014 Edition,” The Michigan Daily, November 21. “New Texts Out Now: Evelyn Alsultany and Ella Shohat, Between the Middle East and the Americas: The Cultural Politics of Diaspora,” Jadaliyya, June 26. “New Texts Out Now: Rabab Abdulhadi, Evelyn Alsultany, and Nadine Naber, Arab and Arab American Feminism,” Jadaliyya, June 26. Maris Harmon and Jonah Lieberman, “Viewpoint: Our place at TEDxUofM,” The Michigan Daily, April 8. (Mention of my talk at the TEDxUofM conference). Martha S. Jones, “Turning Back the Time of Racism,” The Huffington Post, February 12. (Mention of my class, “22 Ways to Think about Race”). Carlina Duan, “Understanding Race,” The Michigan Daily, February 7. Interview with Jennifer Kemp about my book, Arabs and Muslims in the Media, “Political Perspectives,” KBOO Radio, Portland, Oregon, January 16. “Scholar Rebuts Stereotypical Portrayals of the Middle East in U.S. Mainstream Media,” Elias Kamal Jabbe, The Trojan Horse, November 13. “Evelyn Alsultany’s Arabs and Muslims in the Media,” The Page 99 Test (blog), Marshal Zeringue, October 12. “Stereotyping the ‘Enemy’: Changing Arab and Muslim Portrayals Post 9/11,” LSA Youtube Channel, video interview, University of Michigan, September. Dan Shine, “When Research Goes Sideways,” LSA Magazine, University of Michigan, Fall. Radio Tahrir, WBAI, New York, Radio Interview on Museum Exhibit, www.arabstereotypes.org, June 28. Michael Hodges, “Dearborn museum presents Web tour of anti-Arab bias,” The Detroit News, June 28. Jeff Karoub, “From harems to terrorism: Dearborn museum website aims to explore, overcome Arab stereotypes,” Associated Press. Published in Daily Reporter (Greenfield, Indiana), June 7; The Canadian Press, June 7; San Francisco Chronicle, June 8; FoxNews.com, June 8; The National, June 9; The Miami Herald, June 19; and other newspapers. “Teaching the Arts of Citizenship at the University of Michigan,” Article in AAC&U News, September. “Arab Americans and Race Before and After 9/11,” Interviewed by Zeina Zaatari, Voices of the Middle East and North Africa, KPFA (San Francisco) and internet podcast, part 1 aired December 3 and part 2 aired Dec. 10. 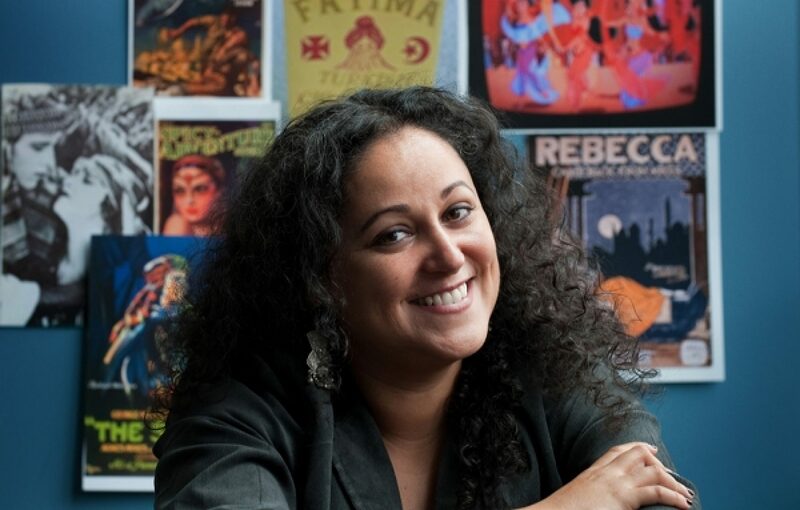 “Teaching Arab American Studies in U.S. Universities,” Interviewed by Barbara Nimri Aziz, Radio Tahrir, WBAI (New York) and Internet podcast, June 5. “Panel Discusses Gender Issues Concerning Arabs and Muslims,” Article by Delia Habhab, Arab American News, March 10. “Just a Little Innocent Comedy,” Article by David Zurawik, Baltimore Sun, March 3. “Muslim Fury Over Danish Cartoons Spur Riots Across the Globe – Why?” Article by Gil Kaufman, MTV News (online), February 7.